Don’t forget – As part of DAVID BOWIE DAY on basic.fm – UK Airdate 10am GMT Monday March 11 (which translates as 9pm Monday night in Australian time) – my 2 hour set of 2 of Fauxie-Bowie taking the Thin White Duke to places even he probably never imagined. 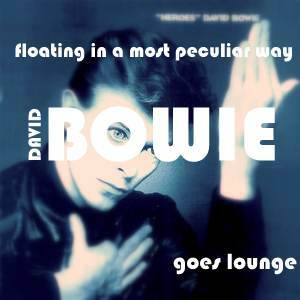 The Bowie lounge encompasses electro, surf, string quartet, moog, 8-Bit, easy listening, chanson, indie balladeers, reggae-lite, chirpy ankle-biters and more. Also featured is a ravishing casiopop version of Let’s Dance recorded exclusively for this project by Brighton’s Queen of cabaret, Lorraine Bowen. The stars look very different today. Indeed.